Lala Kent on the Moment She Quit Vanderpump Rules: "I Was a Hot Mess"
"It's very weird because I've been doing this for a year and a half, so to know that my time is up, it's bittersweet for me," Lala told Carissa Loethen. "I think just the negativity finally got to me. I'm not good at separating real life from work, so it started trickling into my everyday relationships with people who have nothing to do with the show and once that started happening that was like not OK anymore." "The hardest part for me was when they started making accusations about a relationship that I really wasn't in," she explained. "When that trickles into my real life and I am going to the person I am in love with venting about these crazy people, it really did take a toll on my relationship with my boyfriend." Viewers will see Lala quit the restaurant in an upcoming episode, with Lala saying she wasn't the only "hot mess" over her decision to leave. "It's sad. I haven't seen the episode, but I do come back one last time to say my final goodbye," she told us. "I was a hot mess, Lisa Vanderpump was a hot mess, it was weird." When it comes to her former boss Lisa, Lala gushed, "I adore her," but the same definitely cannot be said about her former castmates, especially Katie Maloney after a season of vicious name-calling and allegations. "No, never, ever, ever in my whole life," Lala said when asked if she could ever see herself becoming friends with Katie. "Even if she came to apologize to me, I would be like, ‘You're just so boring to me.' I can't even believe she's on TV!" And Katie wasn't the only cast member Lala wasn't afraid to talk about as she also called out Jax Taylor and Kristen Doute. "I can't stand Jax. I can't stand Kristen. She looks like a horse, and I love horses. I'm like, why do you gotta mess that up for me girl?" 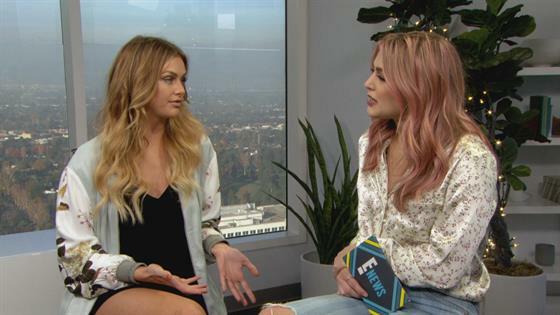 While Lala quit due to the negativity and rumors about her personal life, she said she's "grateful" to Vanderpump Rules as "it really helped me to find myself. In all of the crap, I found the beauty, as cliché as that sounds. I really was like, I'm OK by myself." However, it's not likely fans will see Lala return to face off against her former co-stars at the season five reunion, as she said, "I'm going to bag it. I'll defend myself from a yacht!" To hear what Lala has in the works, including a new TV show, two movies and an EP, as well as how she feels about the show's "hypocrisy," watch our interview with her above.